Explanation: On the far side of our Galaxy, gas clouds explode away from a small black hole. This might seem peculiar, as black holes are supposed to attract matter. But material falling toward a black hole collides and heats up, creating an environment similar to a quasar that is far from stable. In the above time-lapse sequence, micro-quasar GRS1915 expels bubbles of hot gas in spectacular jets. 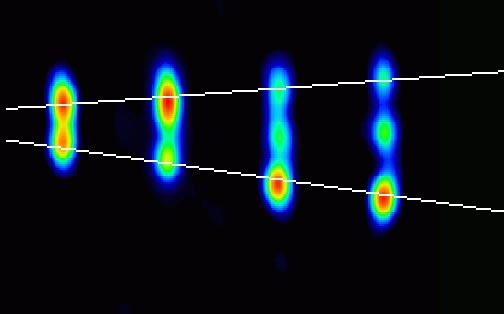 These computer enhanced radio images show one plasma bubble coming almost directly toward us at 90 percent the speed of light, and another moving away. Each of the four frames marks the passage of one day. Originally detected on October 29th, these bubbles have now faded from view.